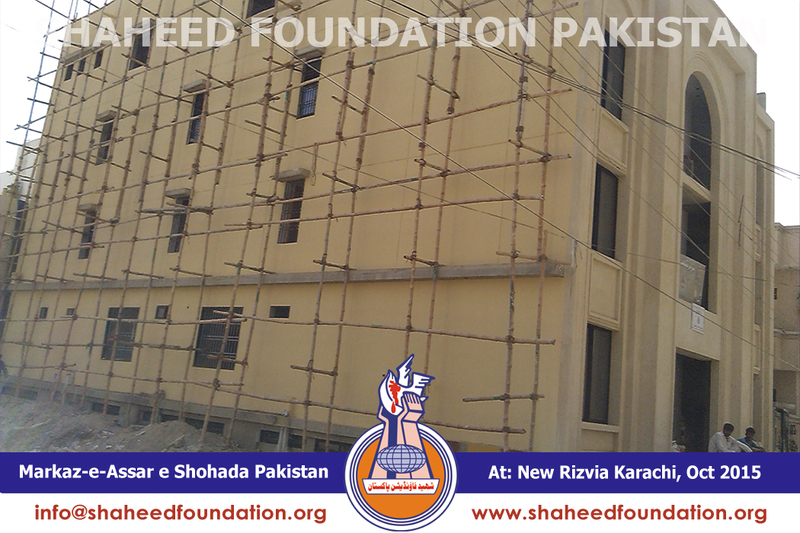 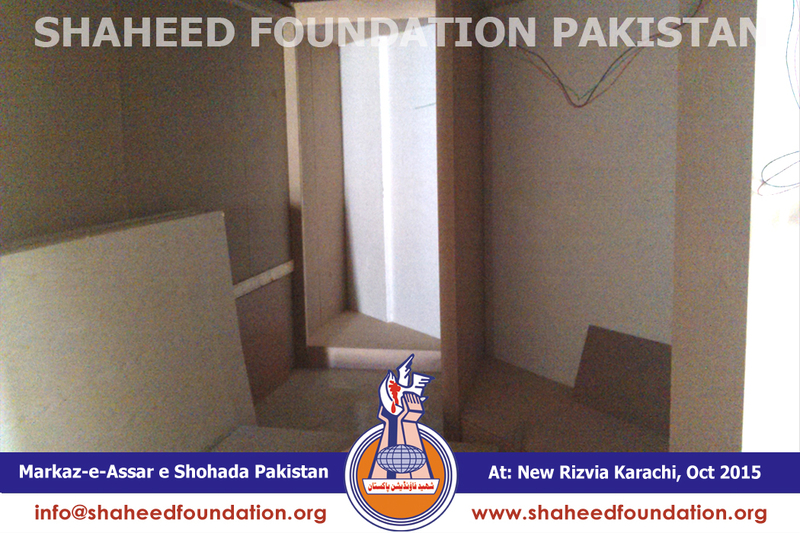 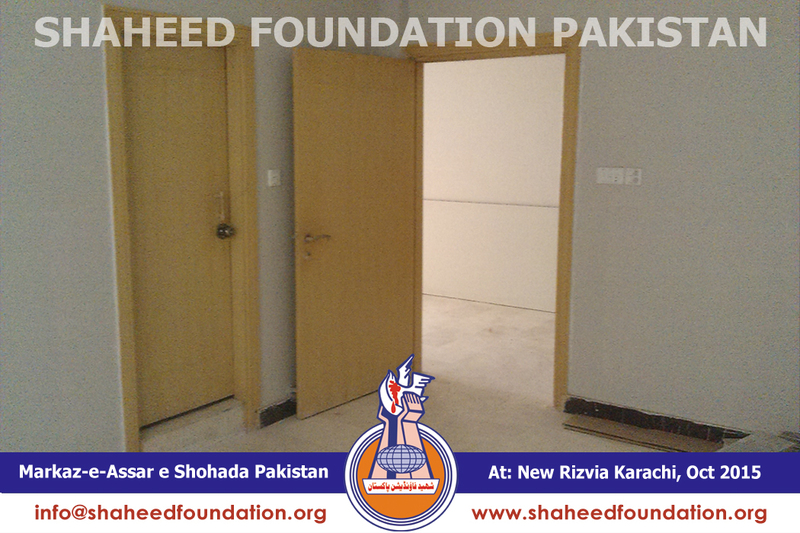 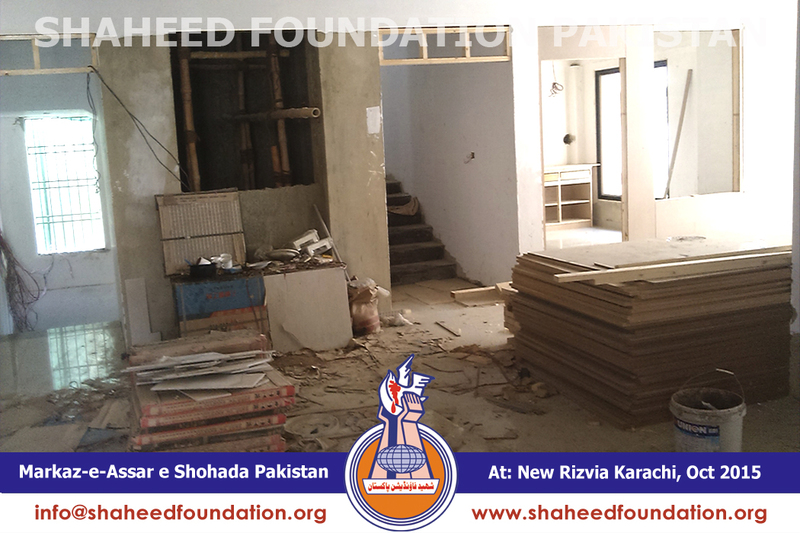 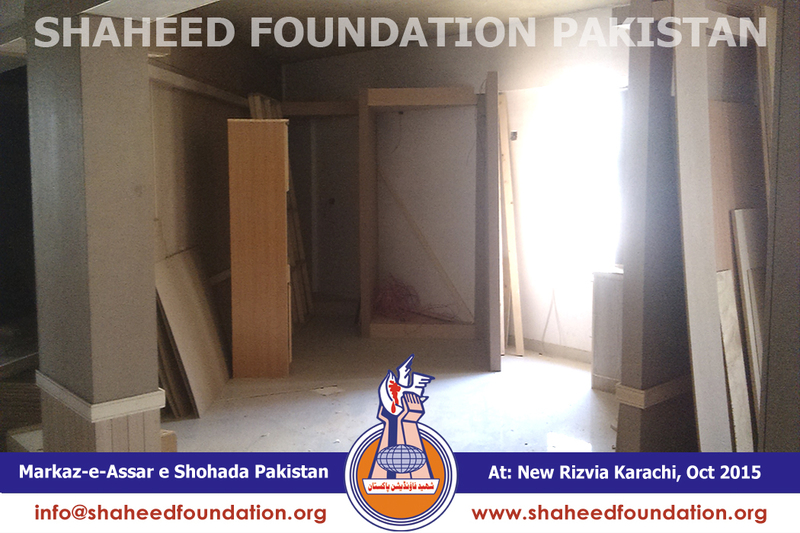 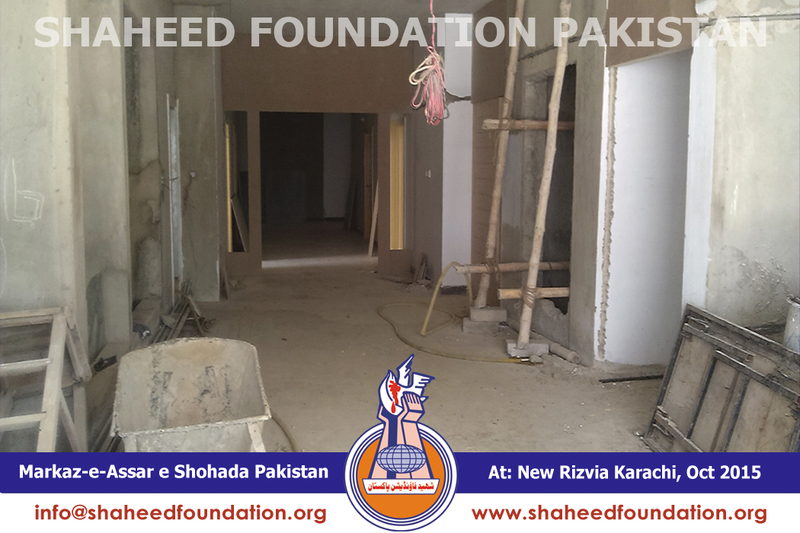 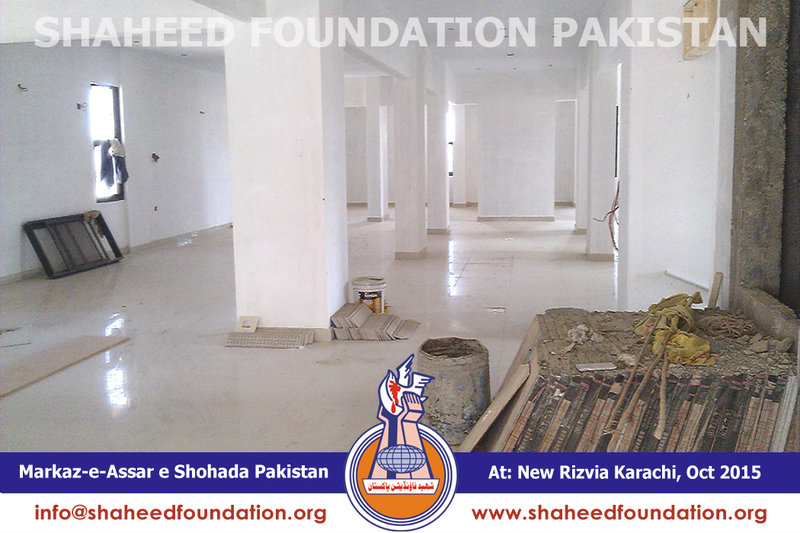 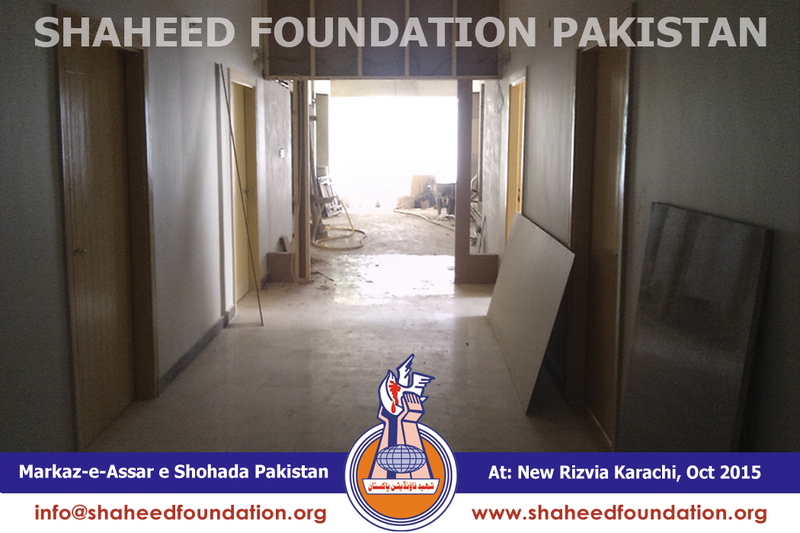 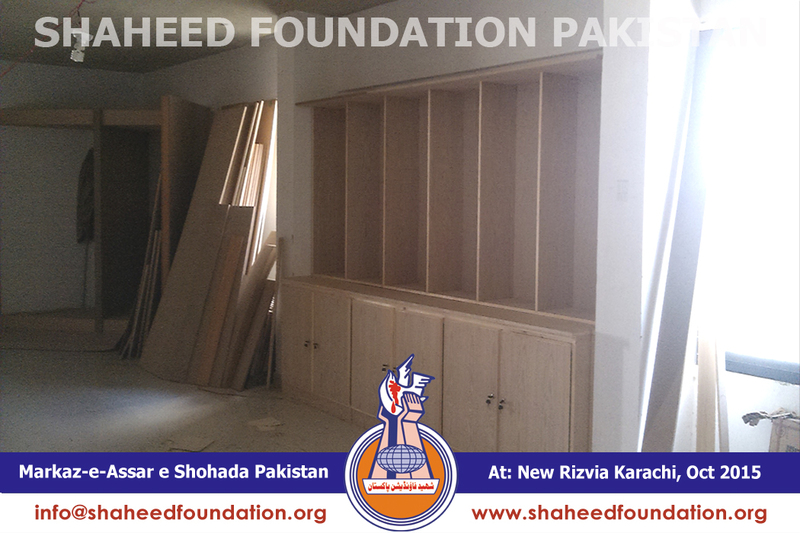 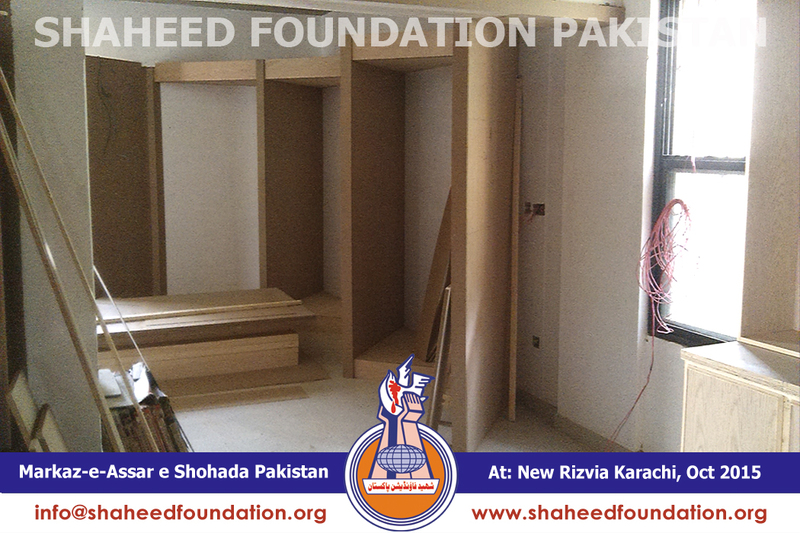 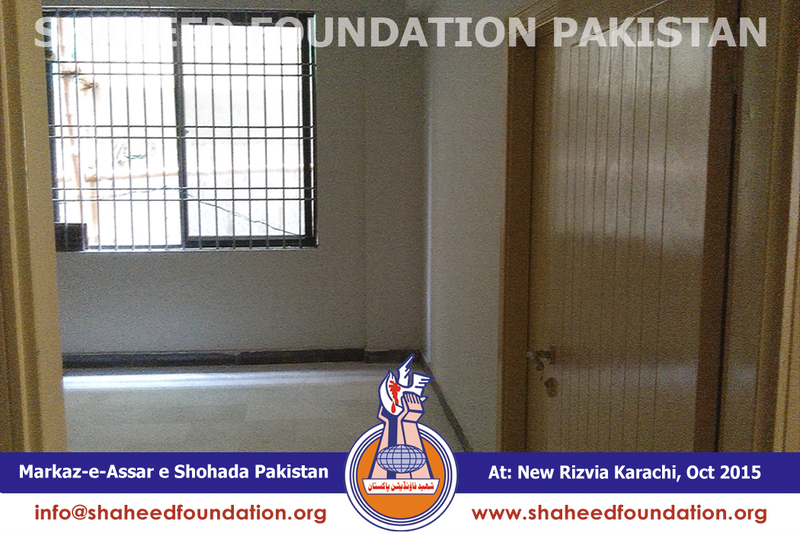 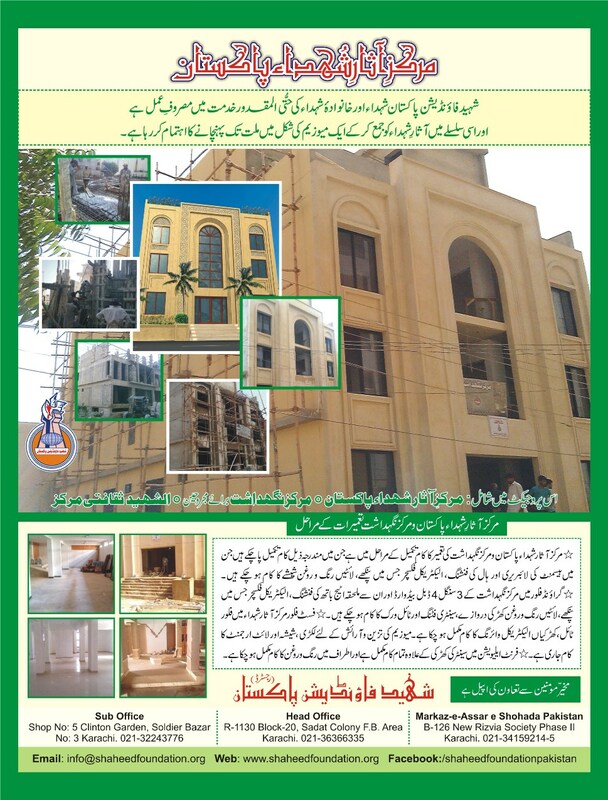 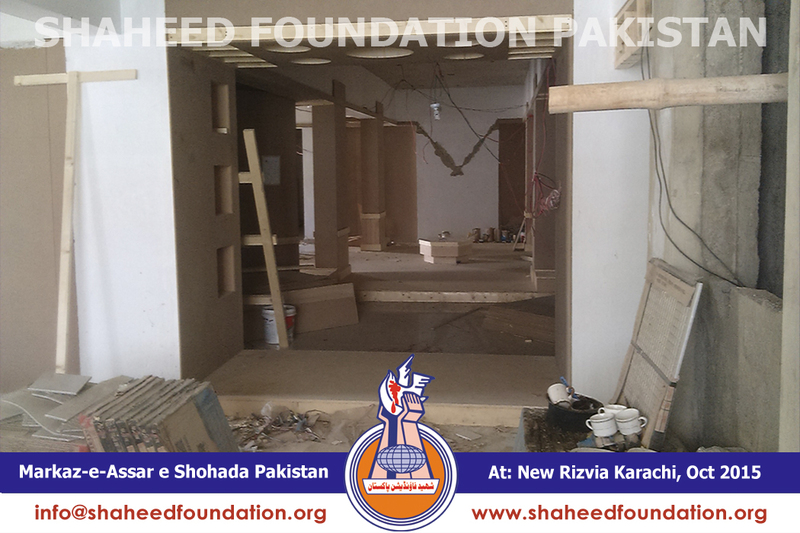 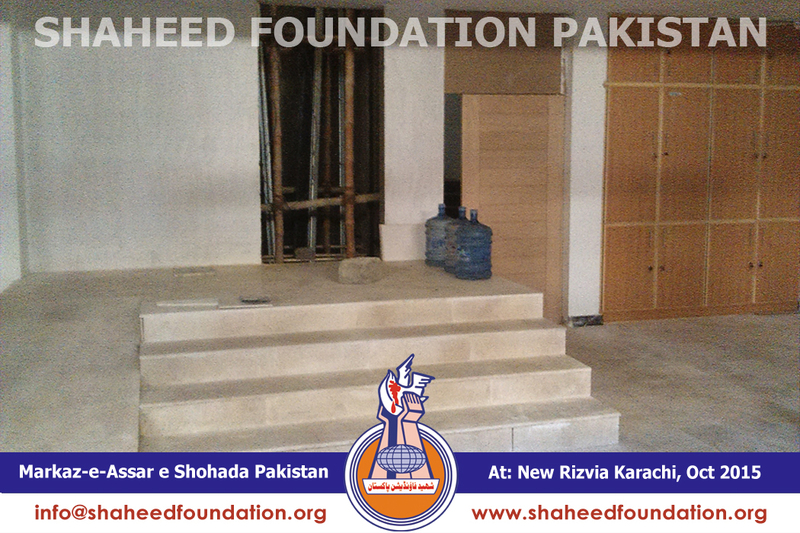 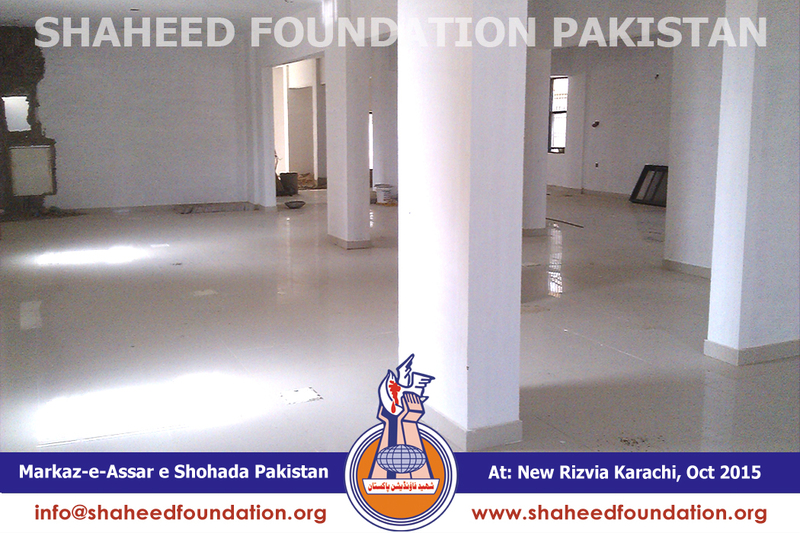 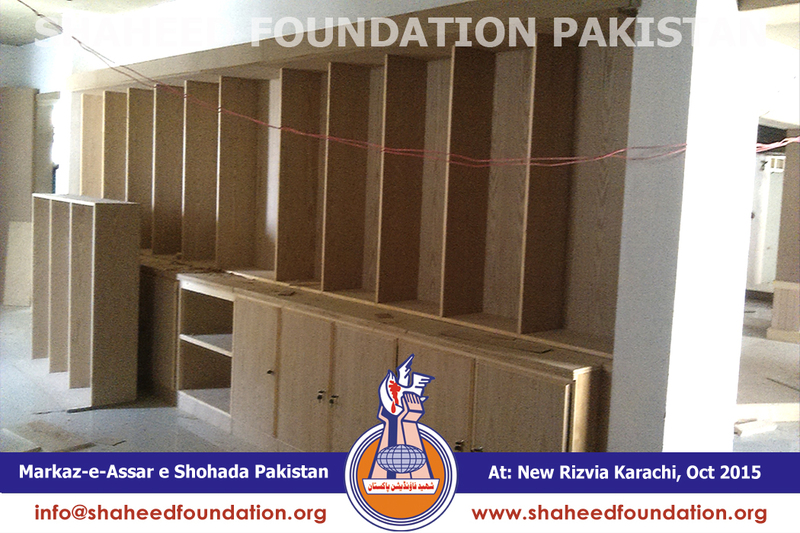 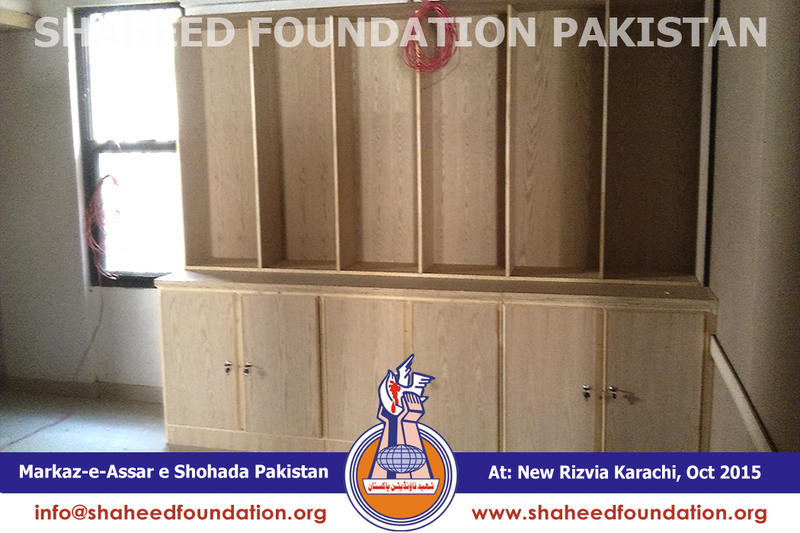 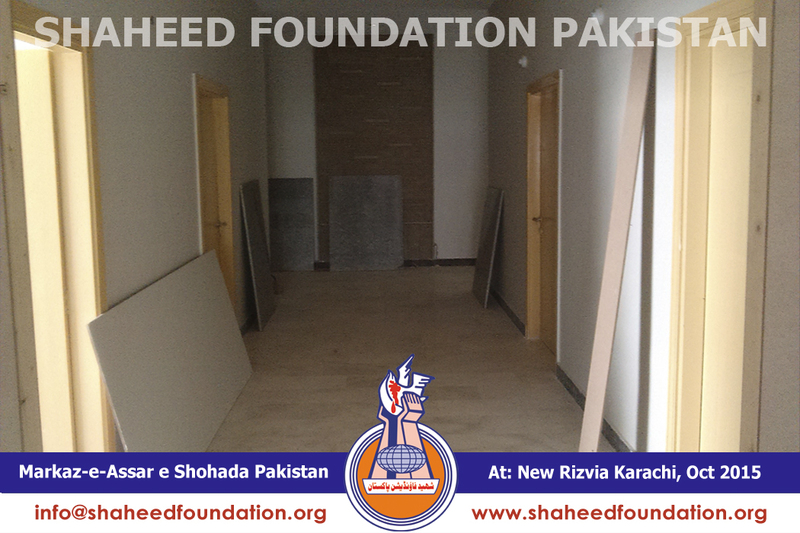 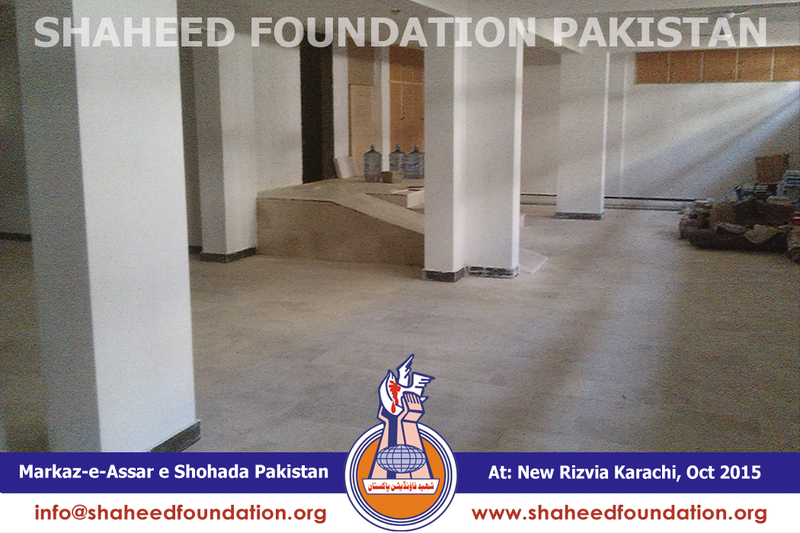 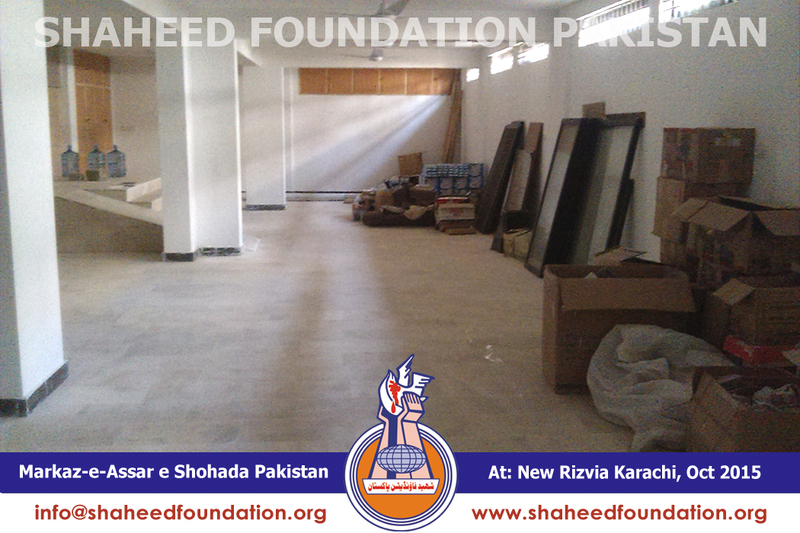 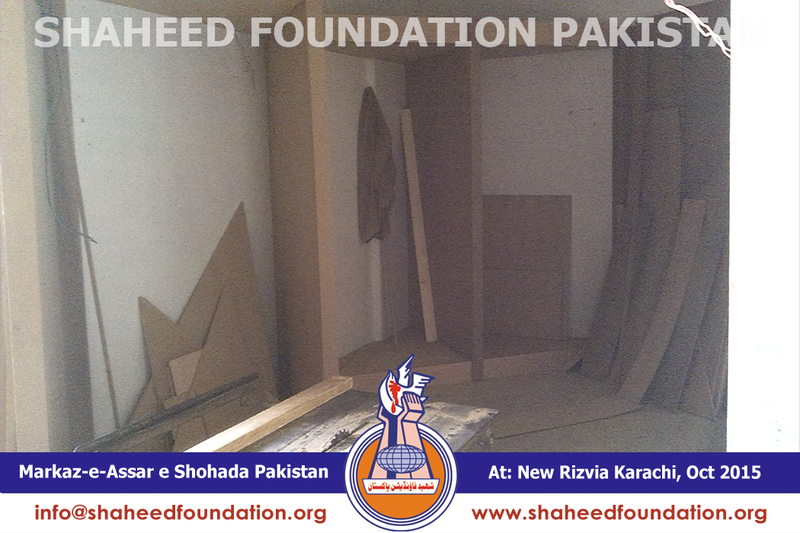 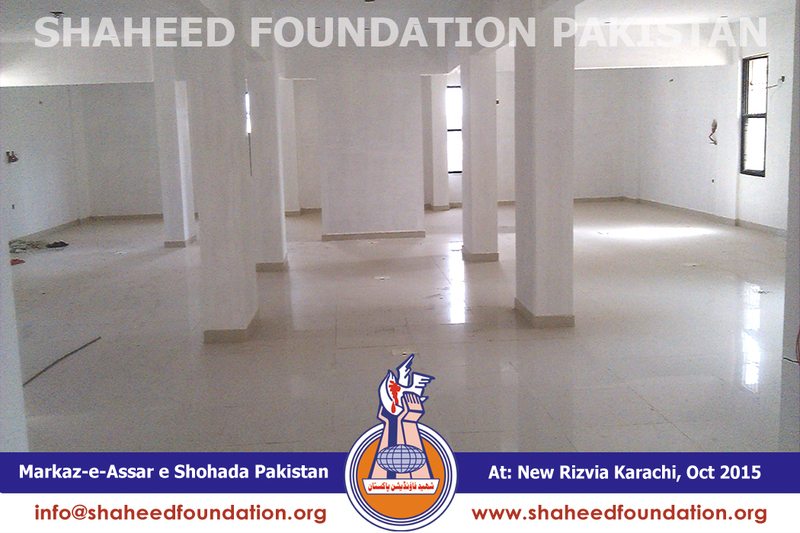 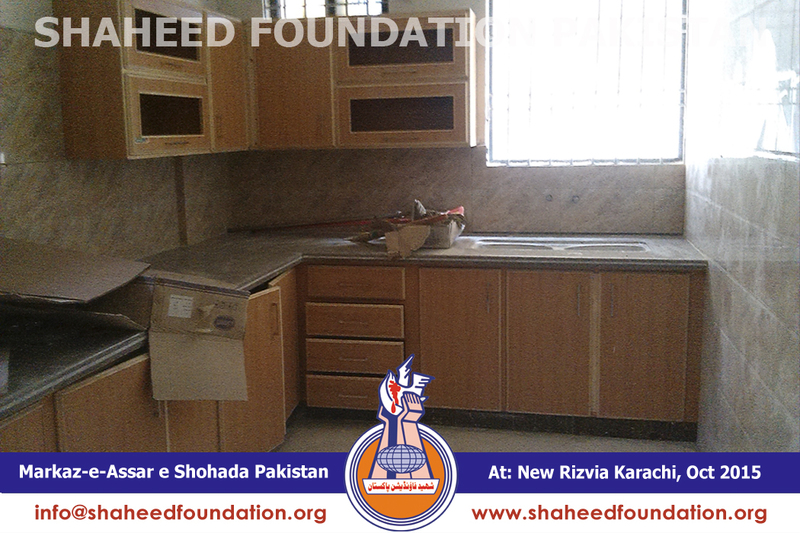 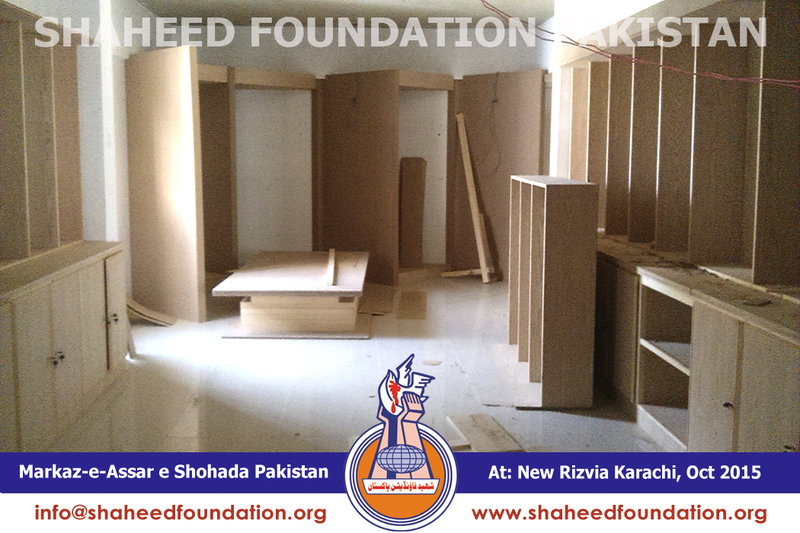 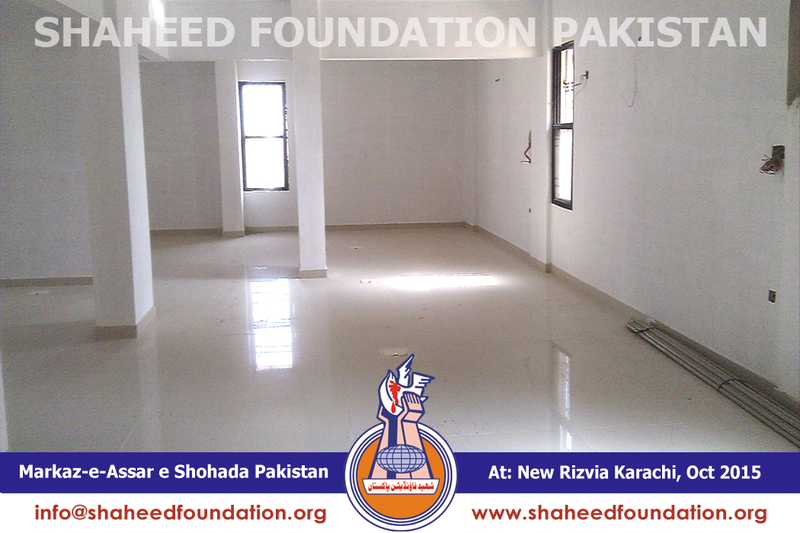 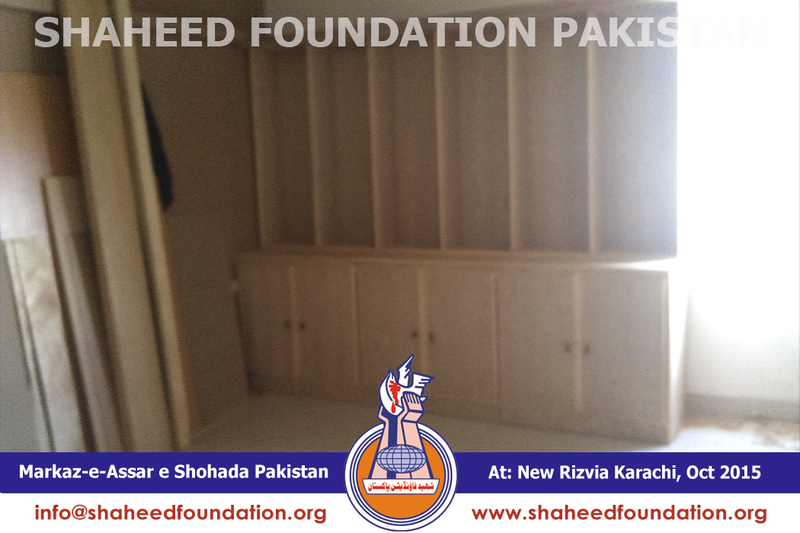 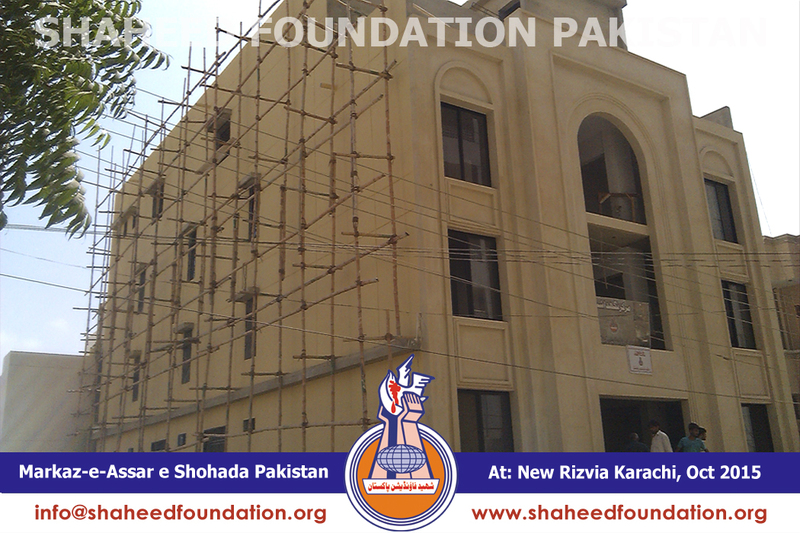 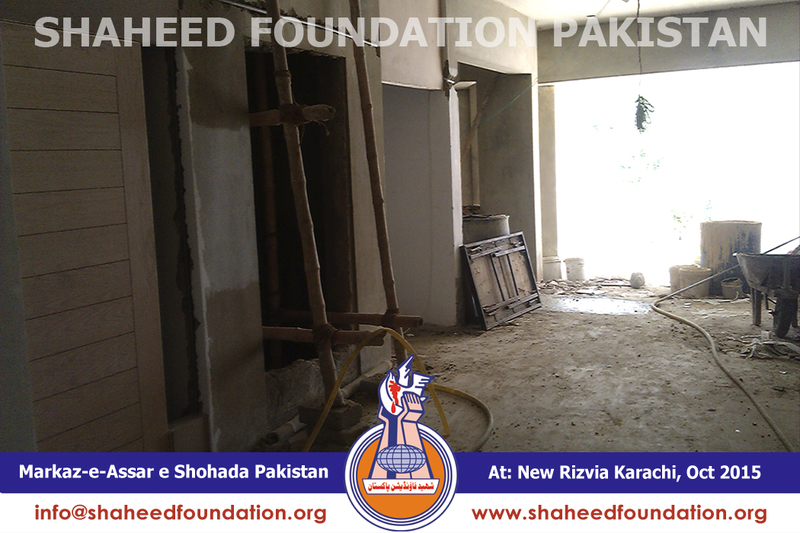 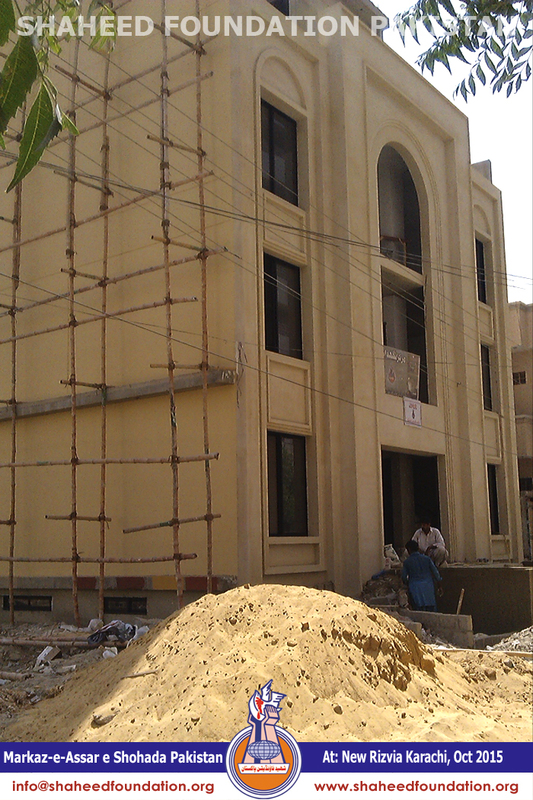 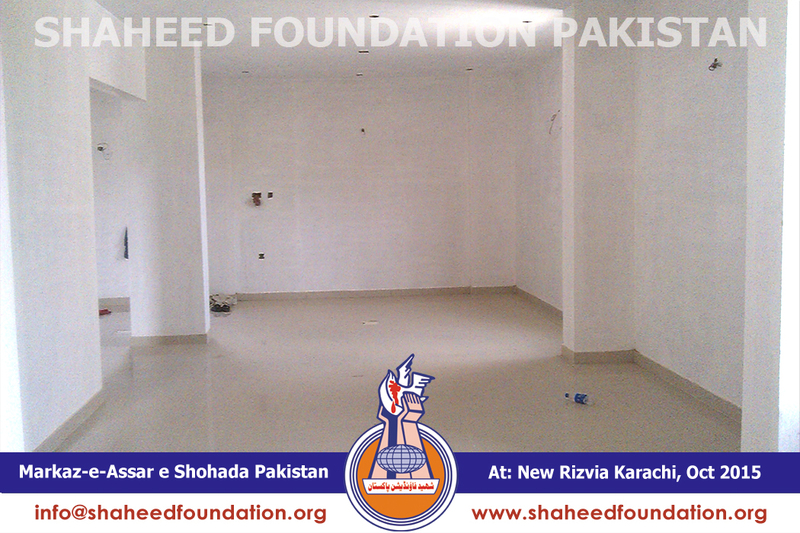 Constructed by Shaheed Foundation Pakistan within the premises of New Rizvia Society Karachi , Markaz-e-Aasar-e-Shohada & Markaz-e-Nighaidasht is quickly nearing completion . 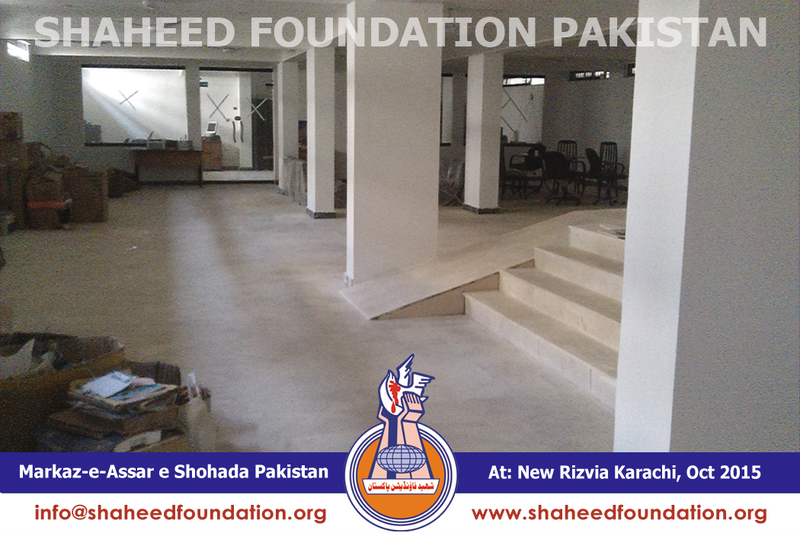 The building comprises of a Museum , a Rehabilitation centre, Public Relation Desk, a Library and a Basement Hall. 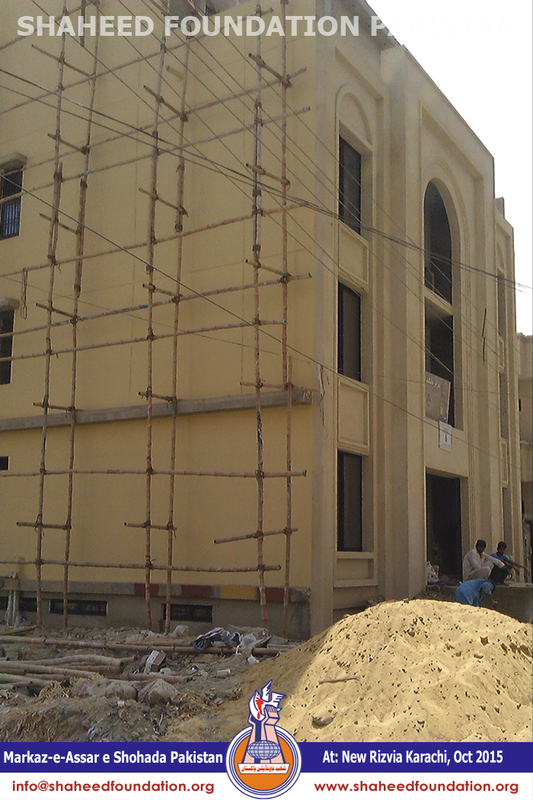 Following tasks have been completed by the Grace of Holy Masoomeen [Alaihimussalam]. 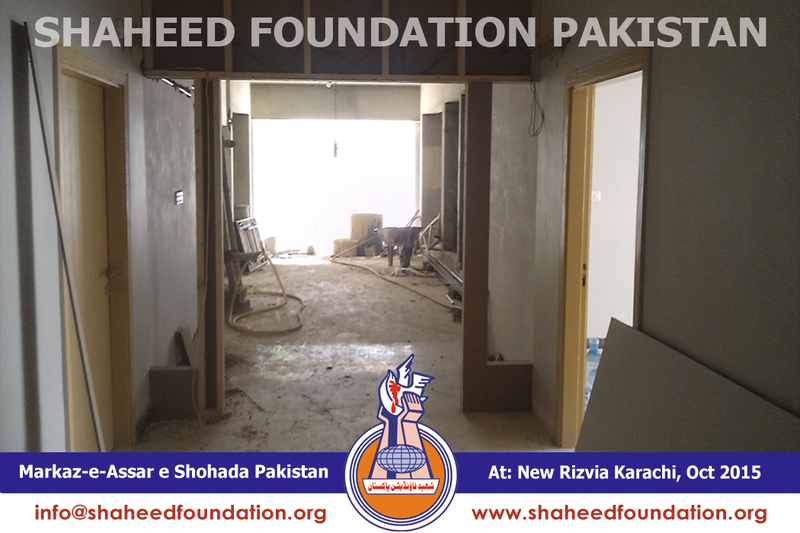 Finishing of Hall and Library in Basement, electrical fixture - Ceiling fans and bulbs, coloring and glass placement. 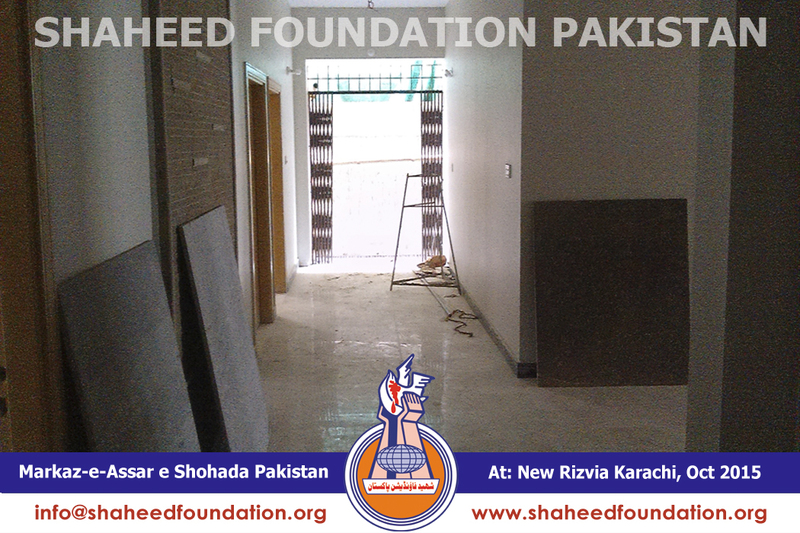 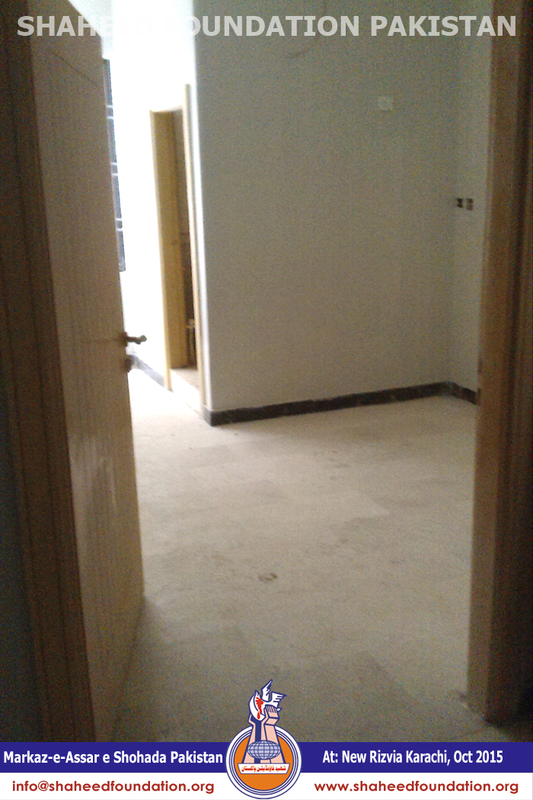 Three single and four double bed wards along with complete finishing ceiling fans, lights and color, sanitary fitting.Tile work and electrical fixture of attached bathrooms has been done in Rehabilitation Centre on ground floor. 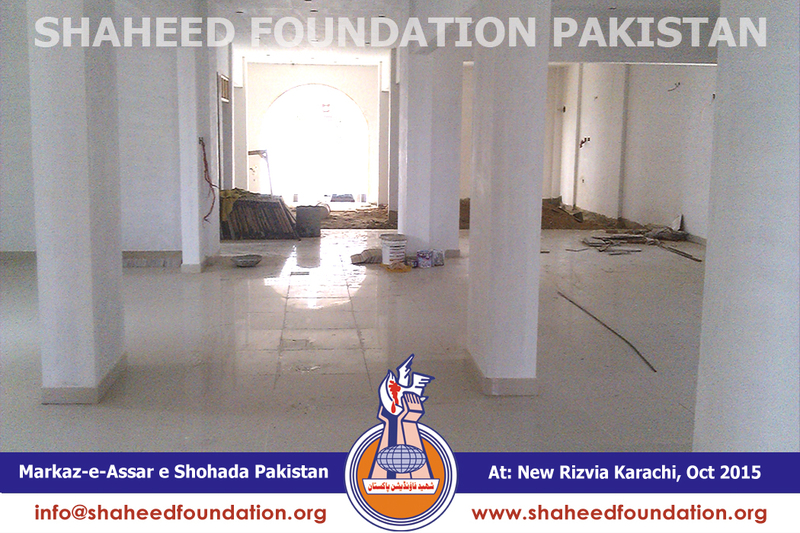 The first floor of museum has also been completed with floor tiling, windows and electrical wiring. 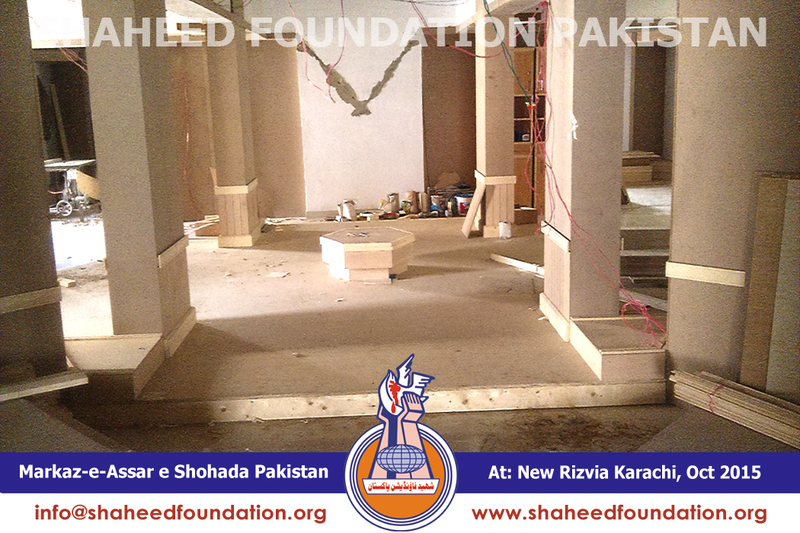 The designing of the museum with wood work, glass work and light arrangements is going on. 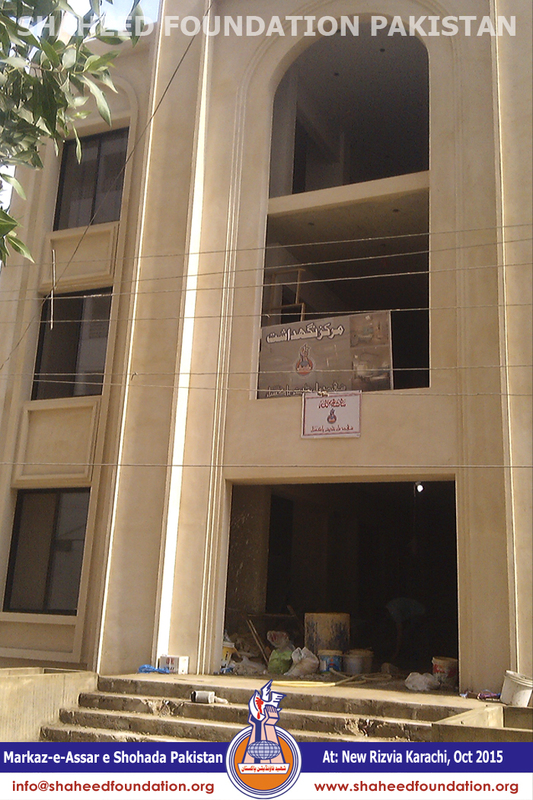 The installation of lift/elevator is under process. 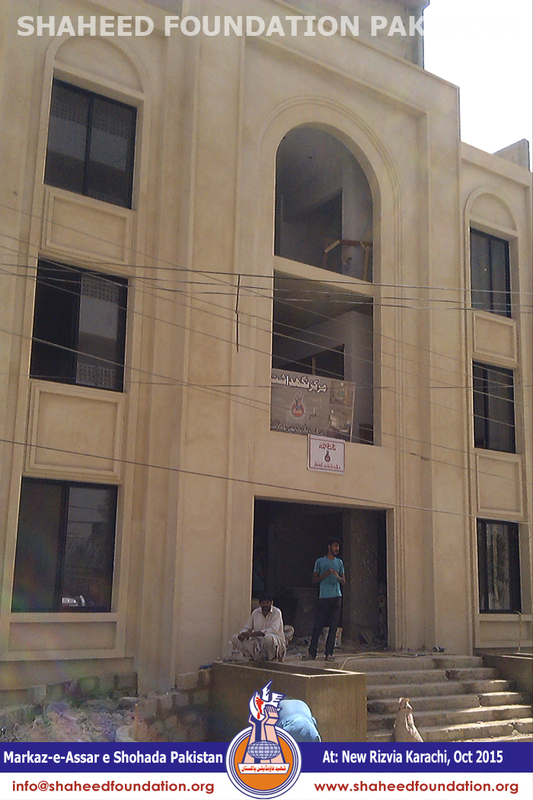 The front elevation is almost complete, except the central window, along with coloring on both sides. 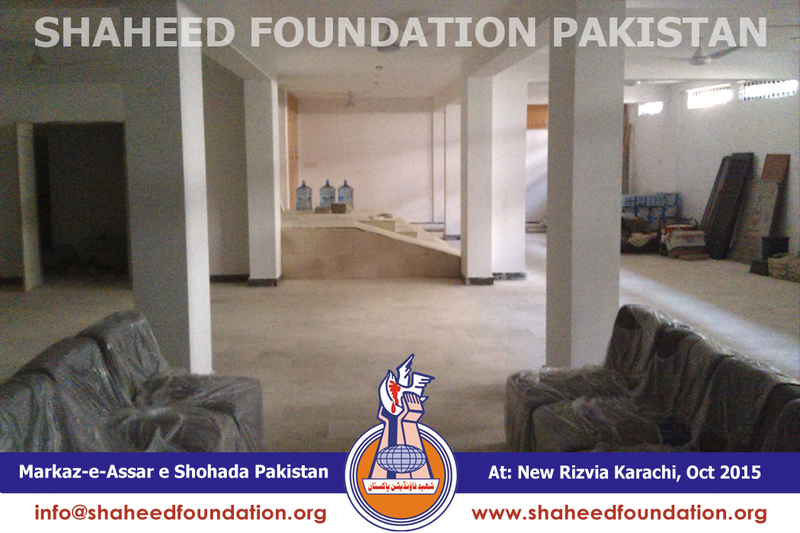 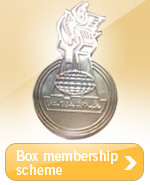 As soon as the project completes, inauguration ceremony will be arranged formally. 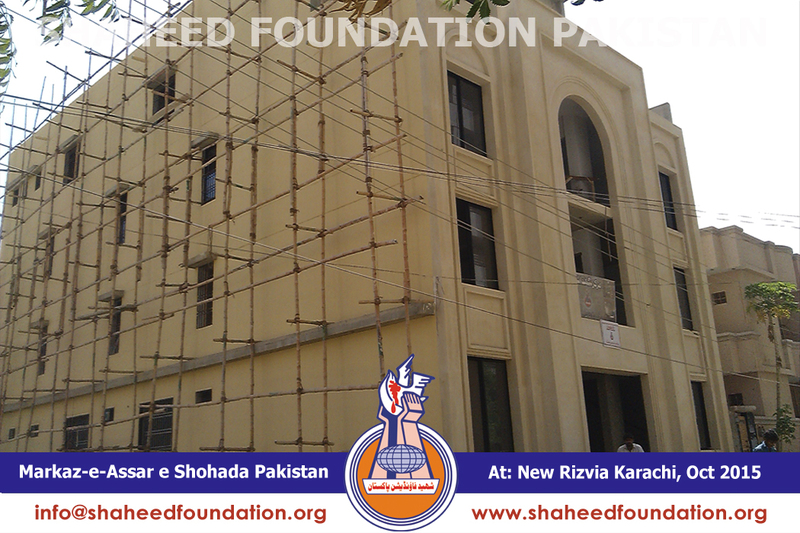 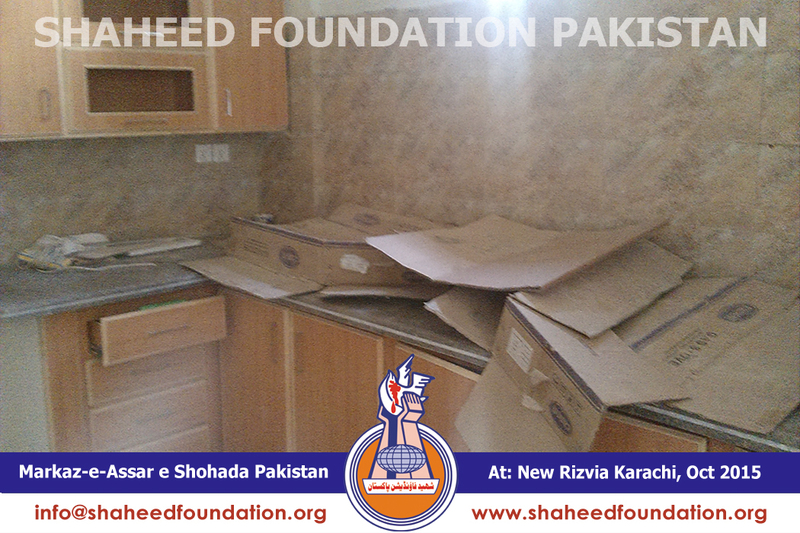 Momineen are requested to extend generous support to the noble cause through your financial contributions.